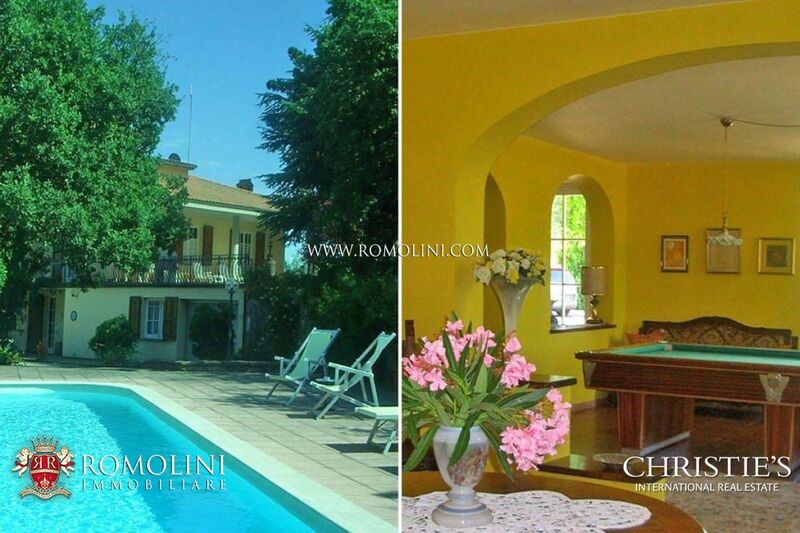 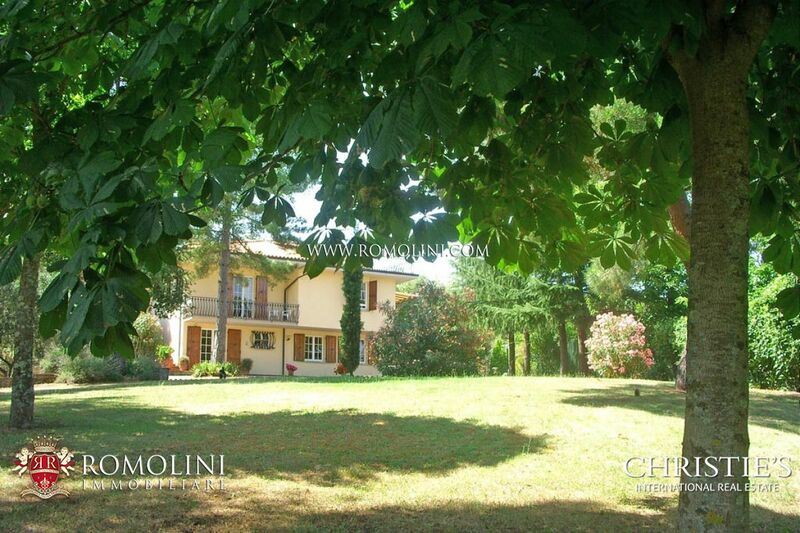 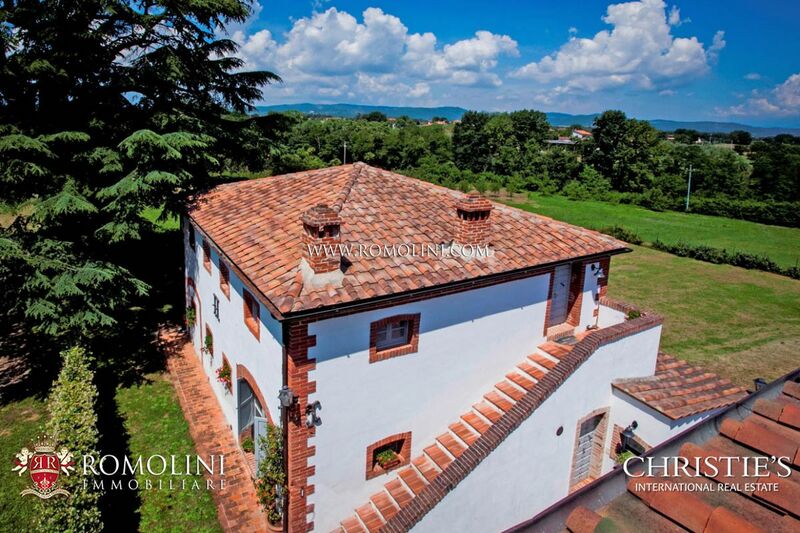 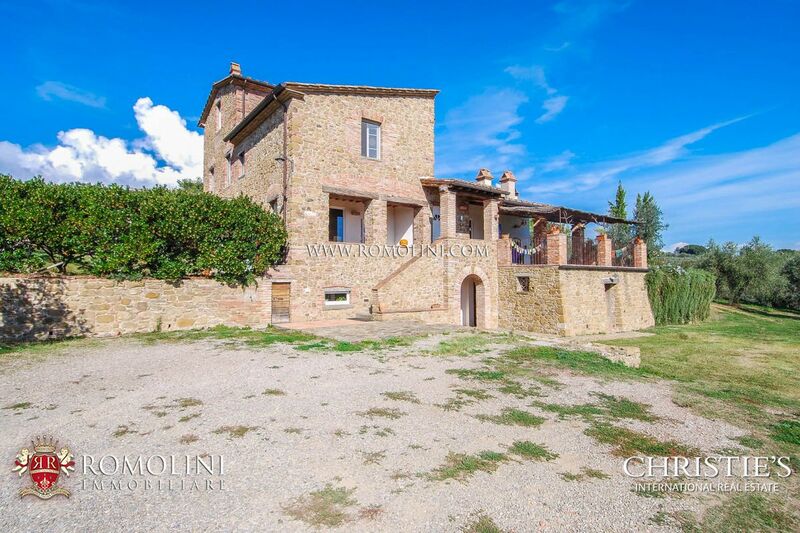 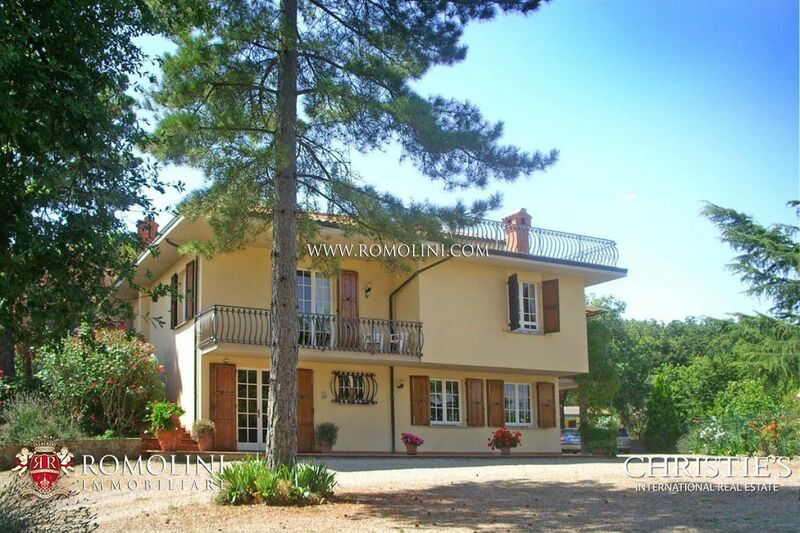 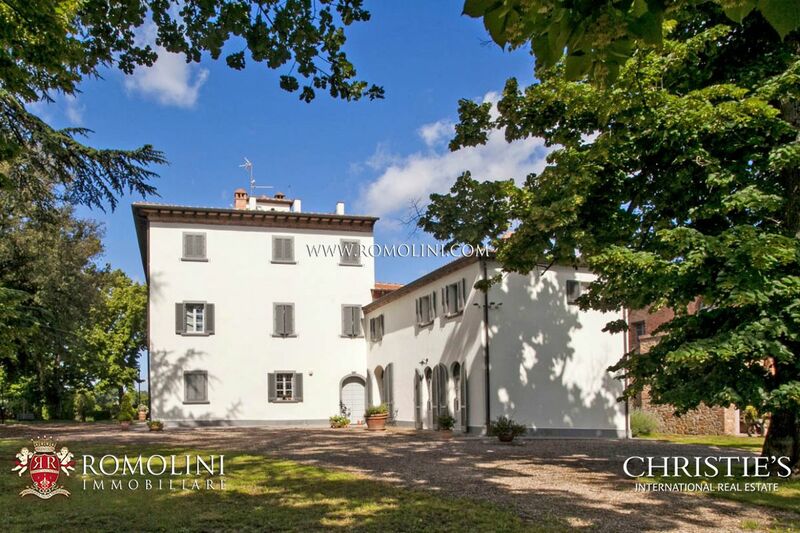 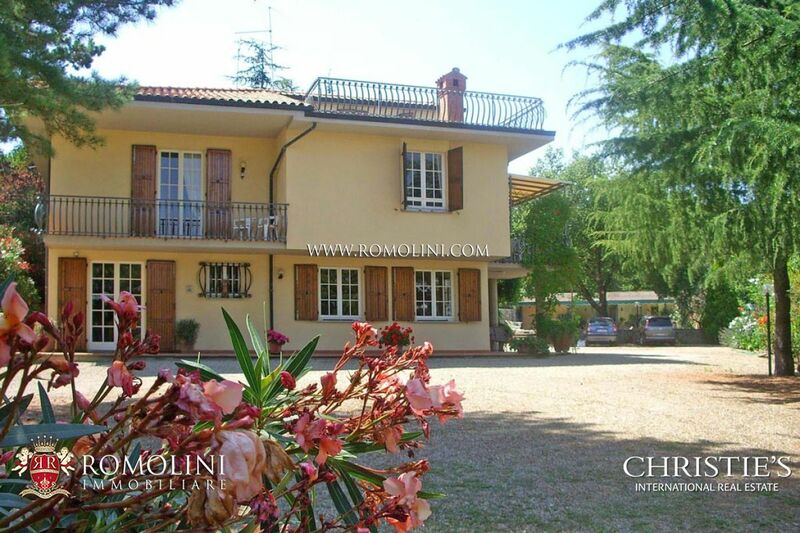 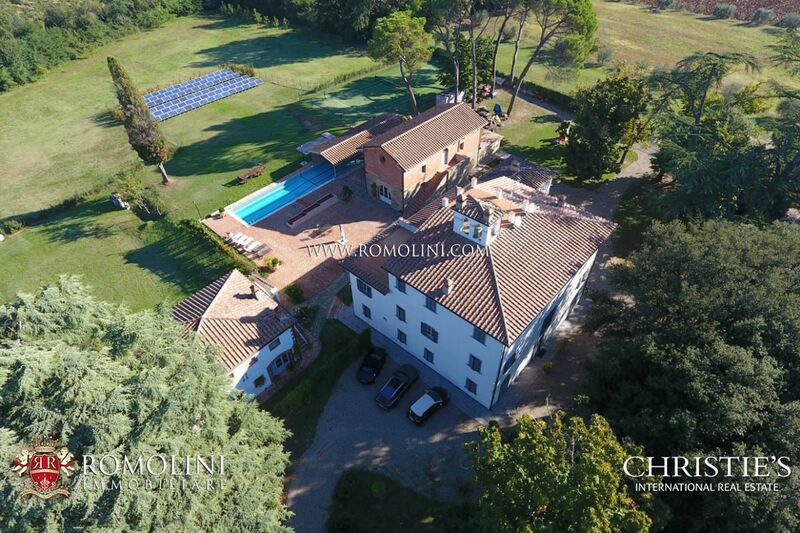 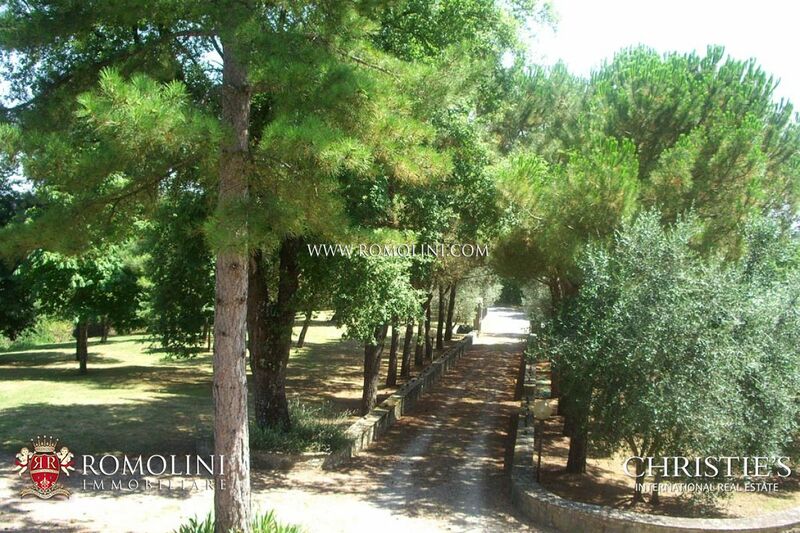 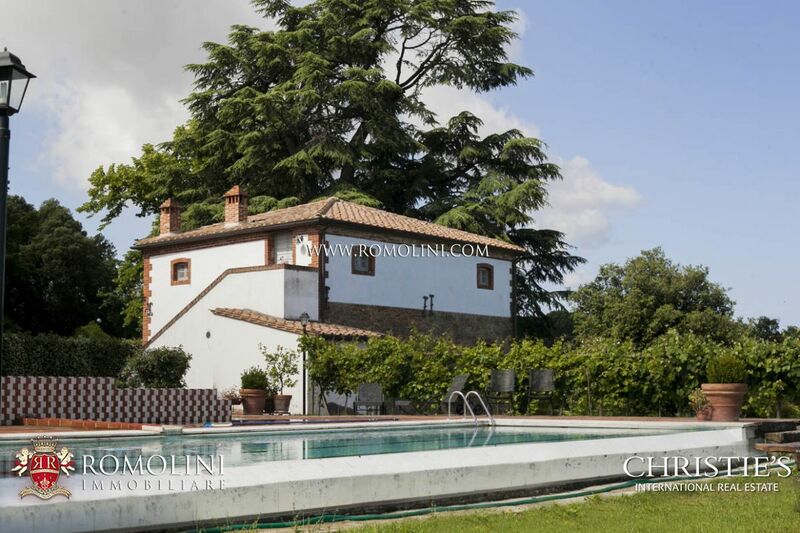 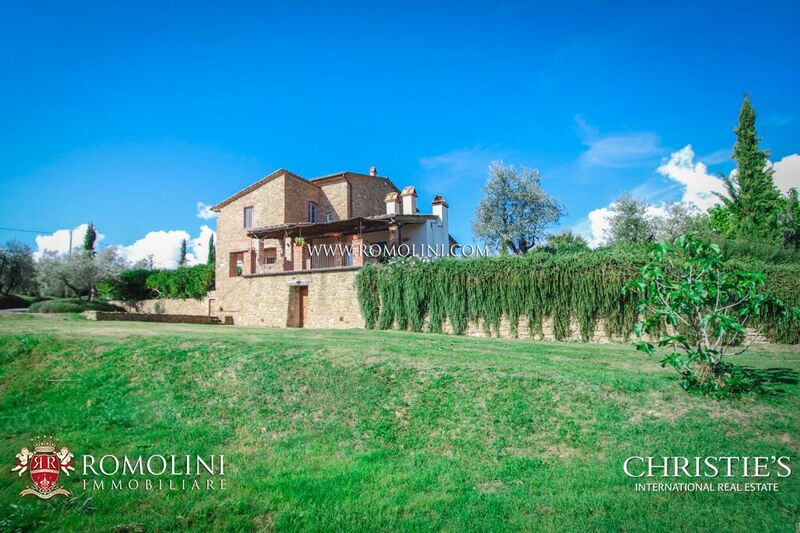 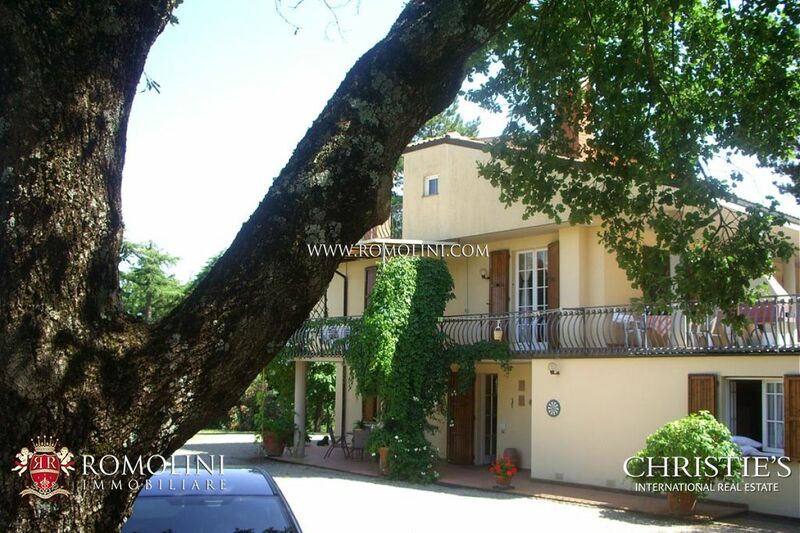 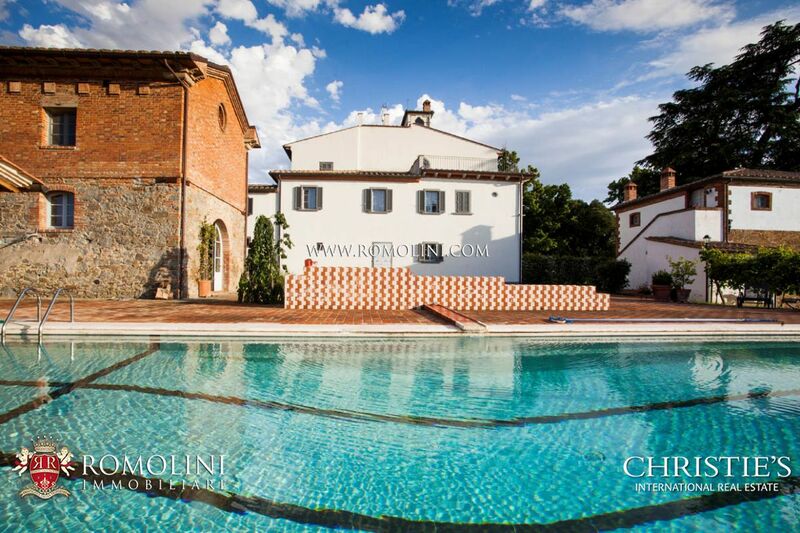 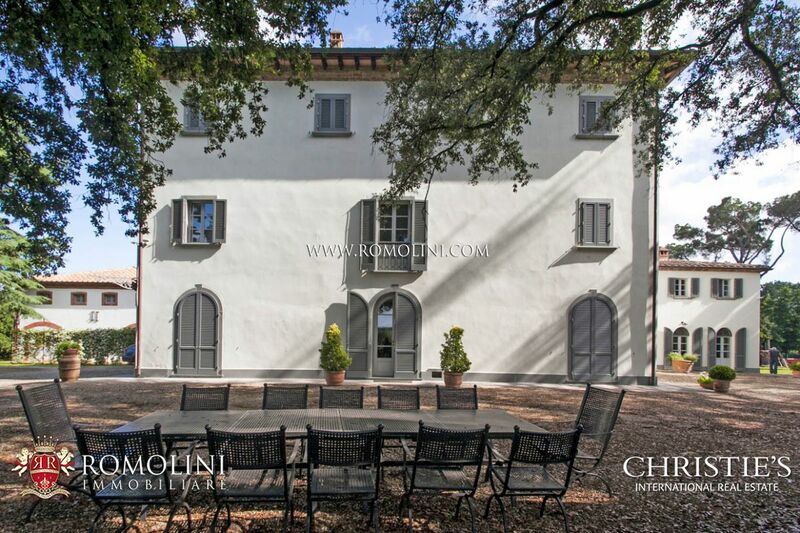 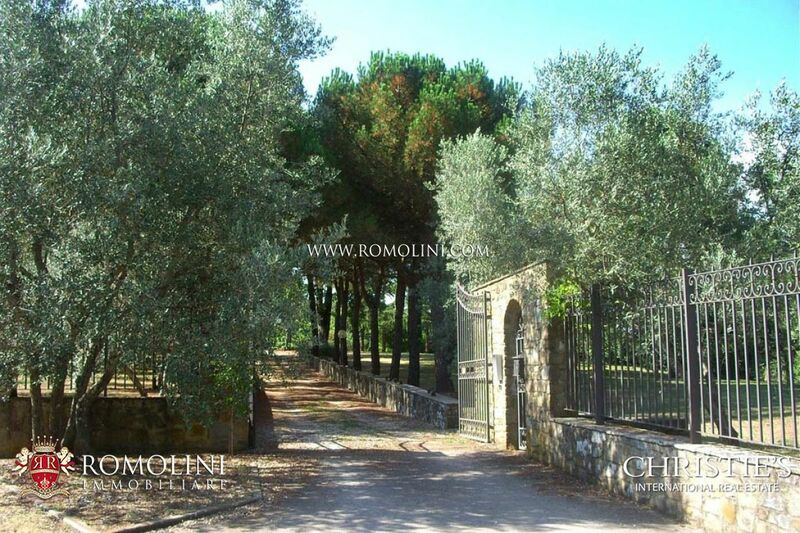 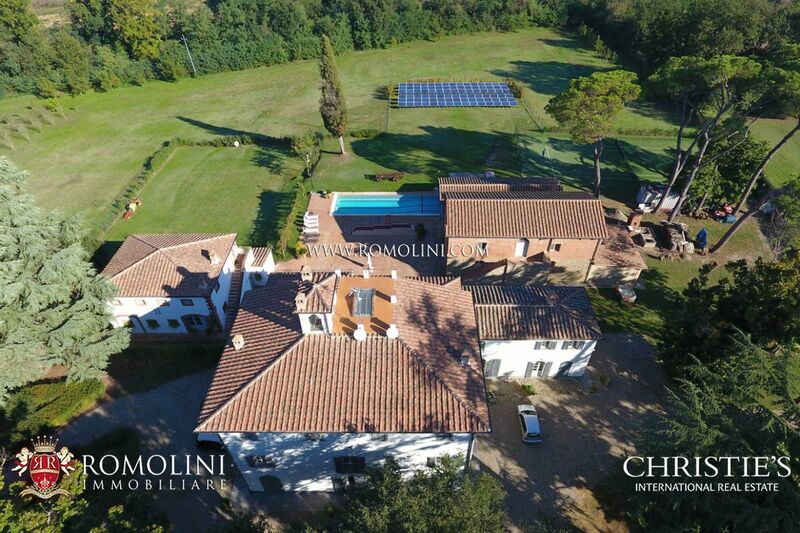 Arezzo: Manor villa for sale with park and pool in Tuscany. 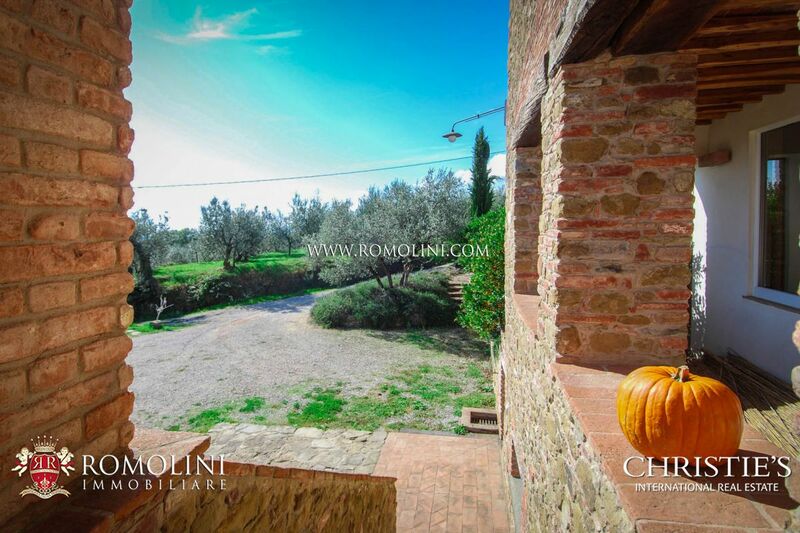 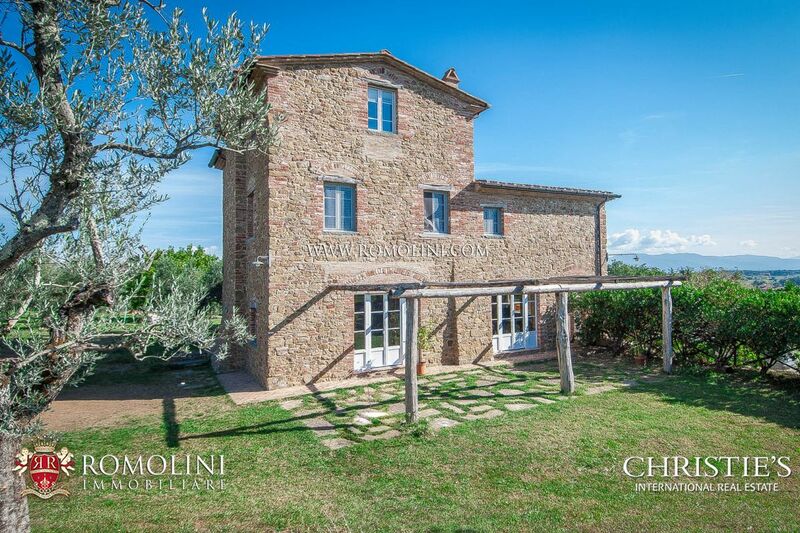 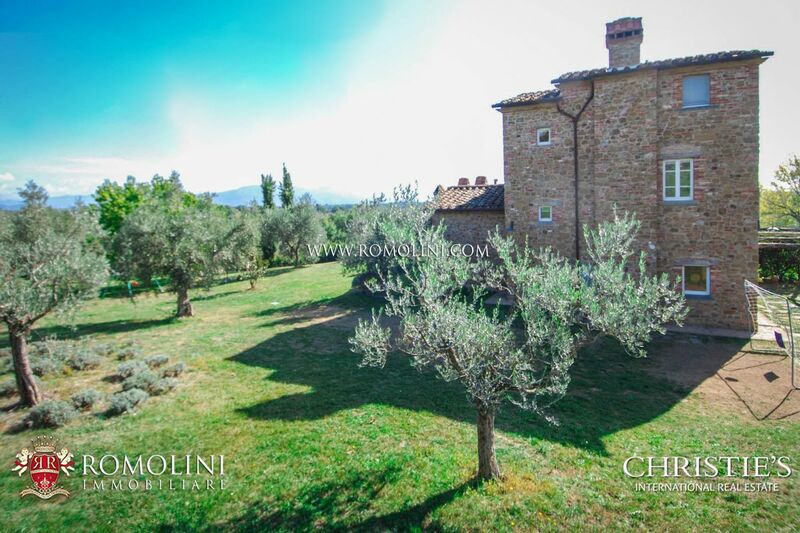 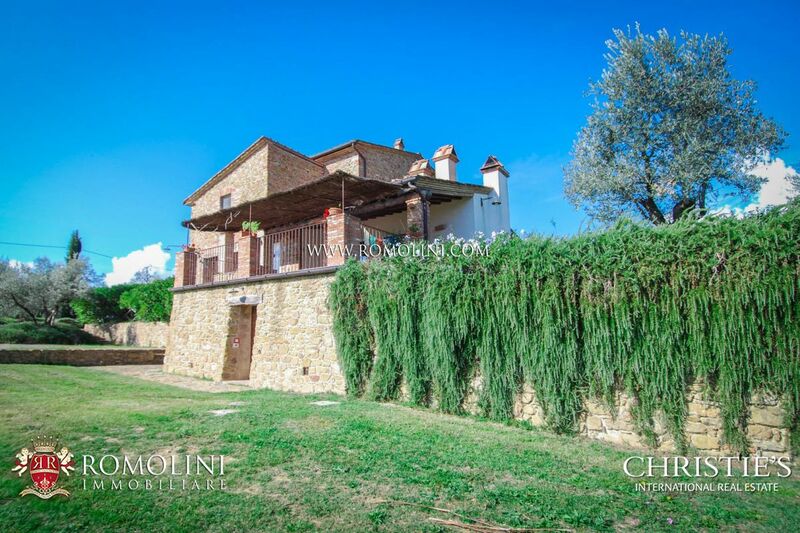 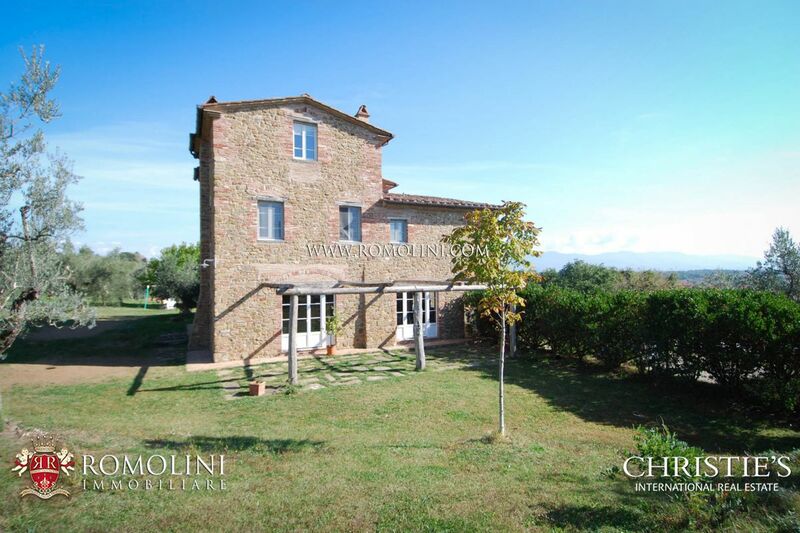 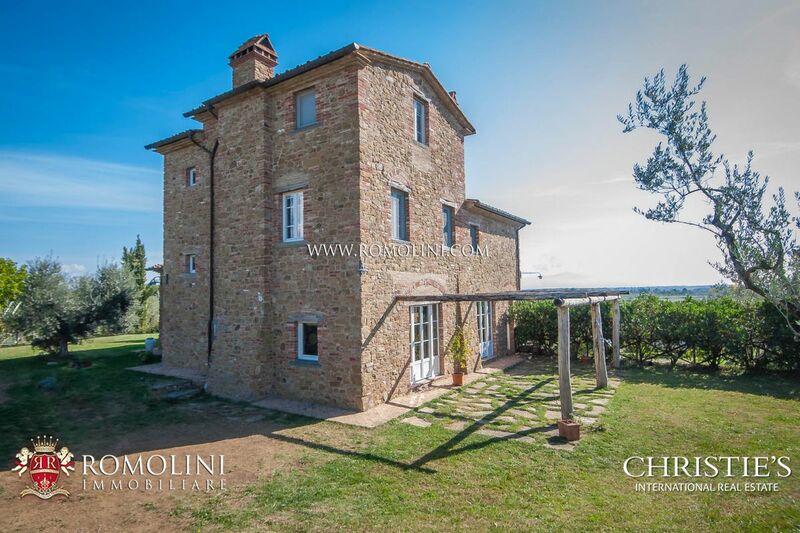 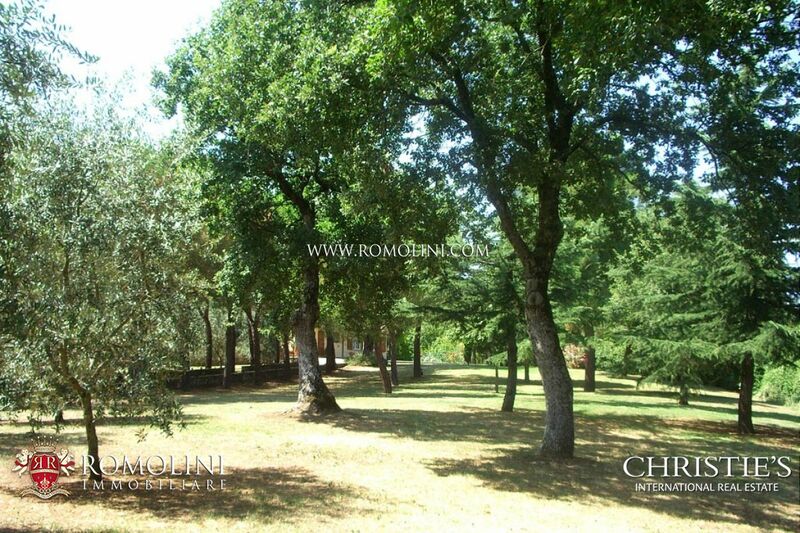 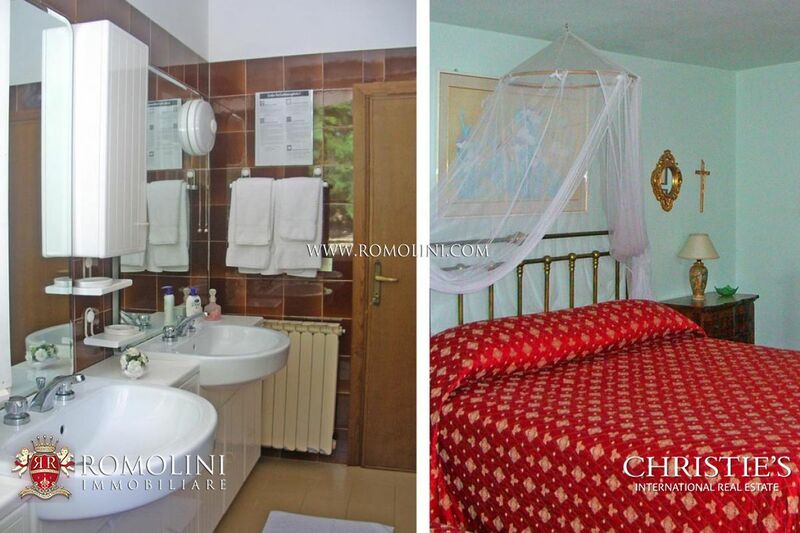 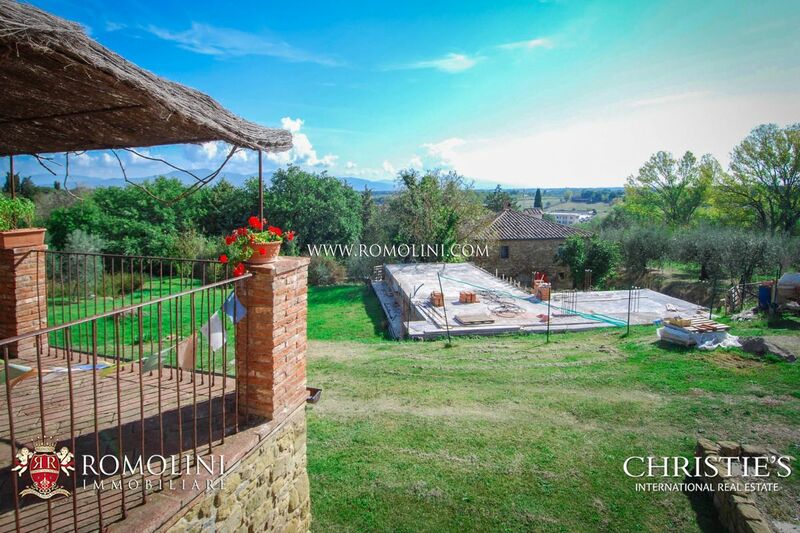 In the hills of Monte San Savino, a few kilometres from birthplace of Petrarca, Arezzo, prestigious villa with annexes, pool and private park. 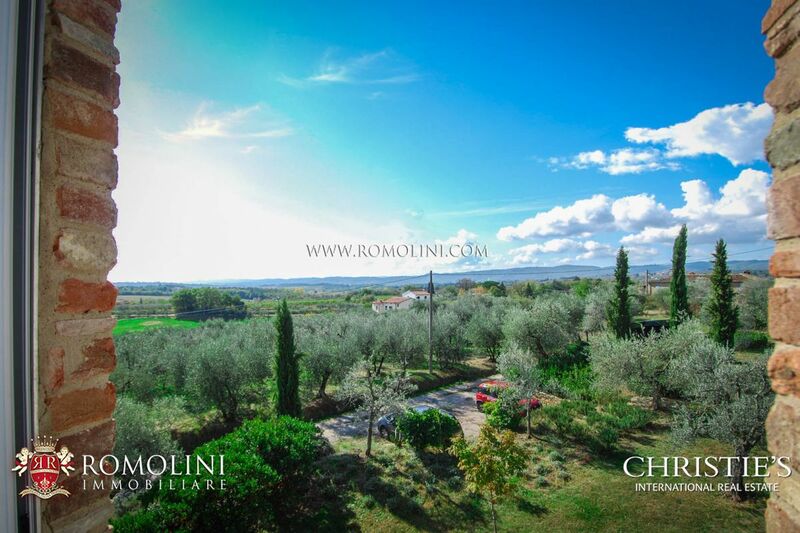 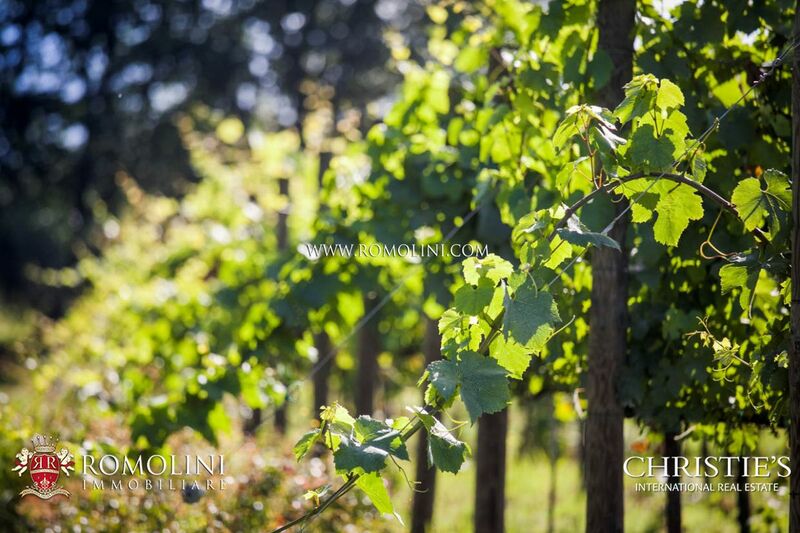 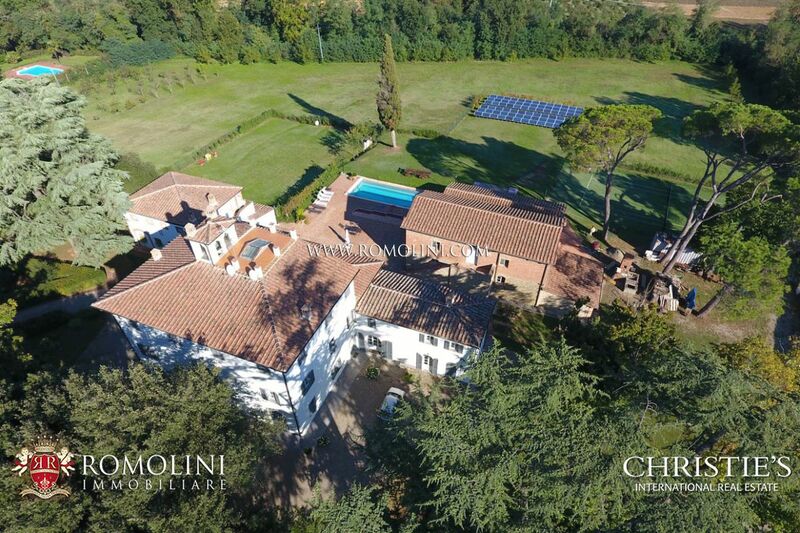 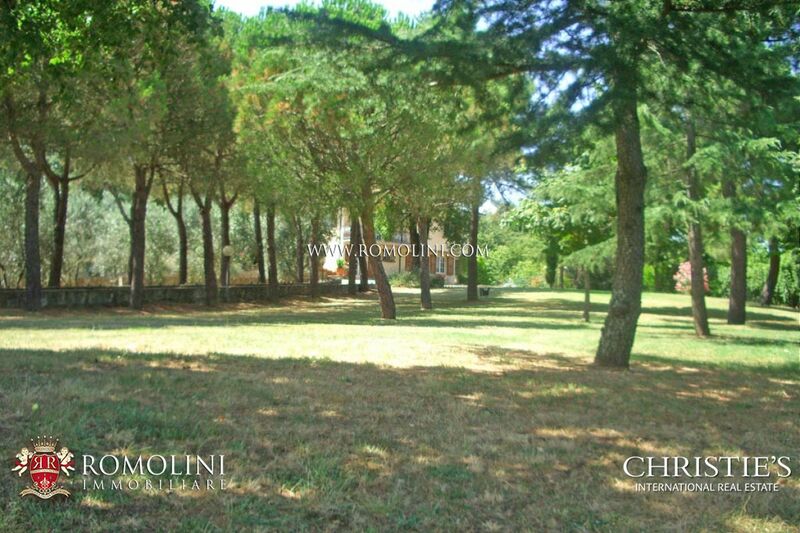 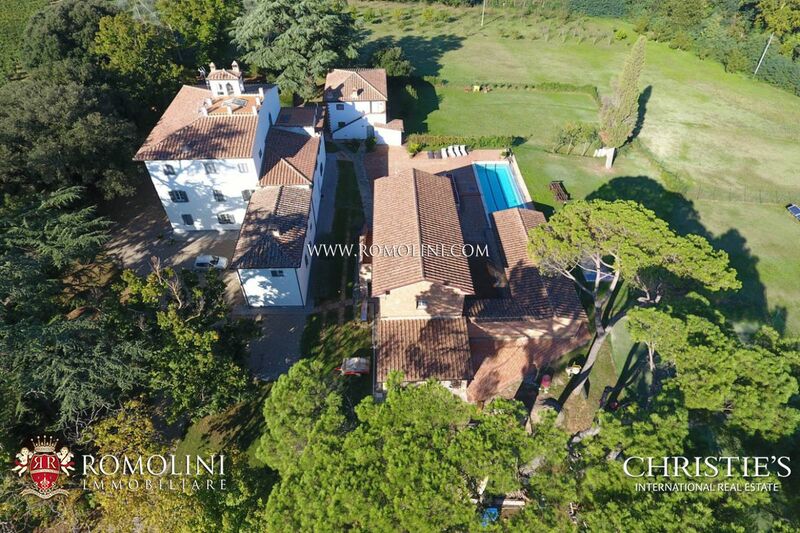 The property is completed by a semi-covered swimming pool, surrounded by 7 hectares of land, including a park with old trees, one hectare of vineyard, olive grove and orchard.